Even as Nashville grows, the police, fire and sheriff's departments are struggling to make cuts before the end of the budget year in June. 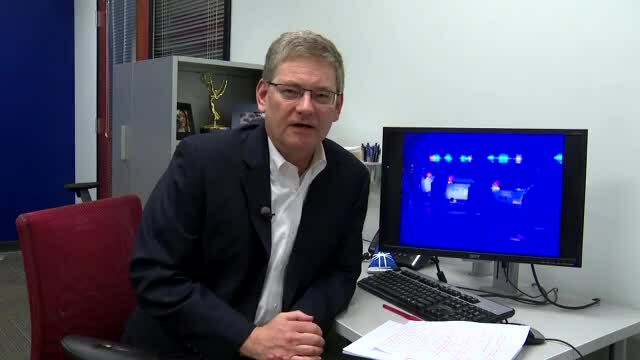 NASHVILLE, Tenn. (WTVF) — Metro's police, fire and sheriff's departments are struggling to make cuts to their already tight budgets. They are trying to come up with savings before the end of the fiscal year on June 30. After the current budget was set, Metro asked most departments to come up with "targeted savings." The targeted savings for the Metro Police Department is $1,993,000. It is $586,300 for the Metro Fire Department and $636,300 for the Sheriff's Office. 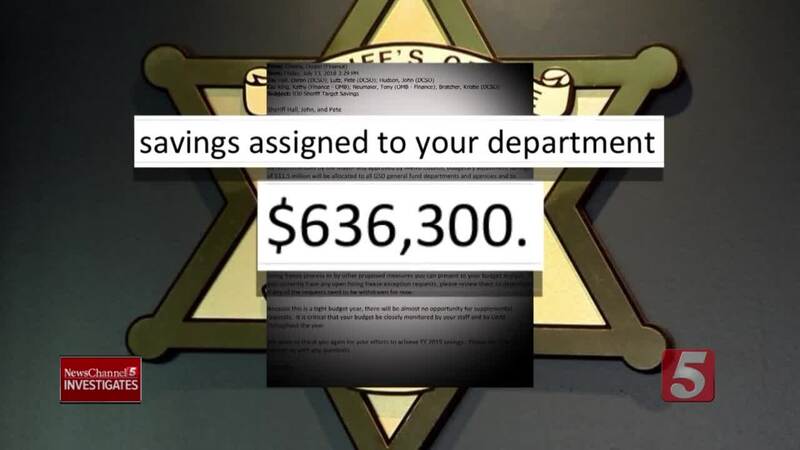 Davidson County Sheriff Daron Hall didn't mince words in August when asked if he could come up with Mayor Briley's request to save $636,300 by the end of the budget year. "I just want to be honest with him. I don't see $600,000 in savings coming out of our agency. That's not really a number I can see happening," Sheriff Hall said. He continued, "I've never been through a time where our city was doing so well, but our money is not." Mayor Briley said last year that money was tight but he was not raising taxes. To save money, the Sheriff's department shut down one of its two mobile booking units on January first. The units help officers after they make arrests by getting fingerprints, mugshots and a bond set by a judge in minutes, so police do not have to drive all the way downtown. Shutting down the mobile book unit will save nearly $200,000, but it will keep officers off the streets longer when they make an arrest. The Metro Police Department sent a statement stating it is "on track" to come up with nearly $2 million in savings. It stated much of the savings is coming from "salary and fringe savings." But the President of the Fraternal Order of Police said the department's "salary" savings are coming from officers quitting because morale is so low. "We're losing officers every day. Police officers are making the conscious decision to walk away from the Metro Police Department and do something different," James Smallwood said. The Metro Police Department confirmed 17 officers left last month. Only three took their pensions, many others went to work for police departments in surrounding communities. "We were absolutely stunned by the number officers who were leaving in January," Smallwood said. Currently the Metro Police Department is understaffed by 108 officers. "We have less officers on the street today than we did a year ago," said Smallwood. Departments across the country are struggling to hire new officers. But Nashville has lost 54 officers in the last six months. Its last training class in October graduated 29 officers. The department said in an e-mail "Clearly, we are losing officers long before retirement age." Smallwood cited several reasons for the low morale, but said things were made worse when Metro went back on its promised pay raise last year. "They don't want to come here and be police officers, so we have people leaving at an increased rate and less people applying to come in the front door of this department," Smallwood said. The police department also said it saved $200,000 by cutting Crime Reduction Initiative overtime in each precinct. The program put officers in high crime areas as determined by precinct commanders. "Now we are not doing that, so high crime areas are not getting the same amount of attention and the same amount of presence from police officers as they were last year at this time," Smallwood said. And while the department said it is on track to meet the nearly $2 million in savings it stated "additional unplanned special events through the end of June could well have an impact." The NFL draft is coming in April and was not in their budget. The Nashville Fire Department said in a statement it is working to stay within the perimeters of the budget "without impacting services to the people of Nashville." The department has dramatically reduced overtime costs and said it is currently achieving the $586,300 in savings "as promised by the end of the fiscal year." The firefighters union has raised concerns about public safety citing a reduction in minimum staffing for firefighters on each shift. Last year the department required 183 firefighters per shift. It now requires 176 firefighters per shift. Mayor's Briley's spokesperson Thomas Mulgrew said in a statement, "We are monitoring this carefully and are in routine contact with all departments in regards to their targeted savings." "There is no consequence for a department if its targeted savings aren’t met, but we do work closely with each to try and reach that goal."